Happy March 1st! Here in St. Louis we just got a huge dumping of snow! 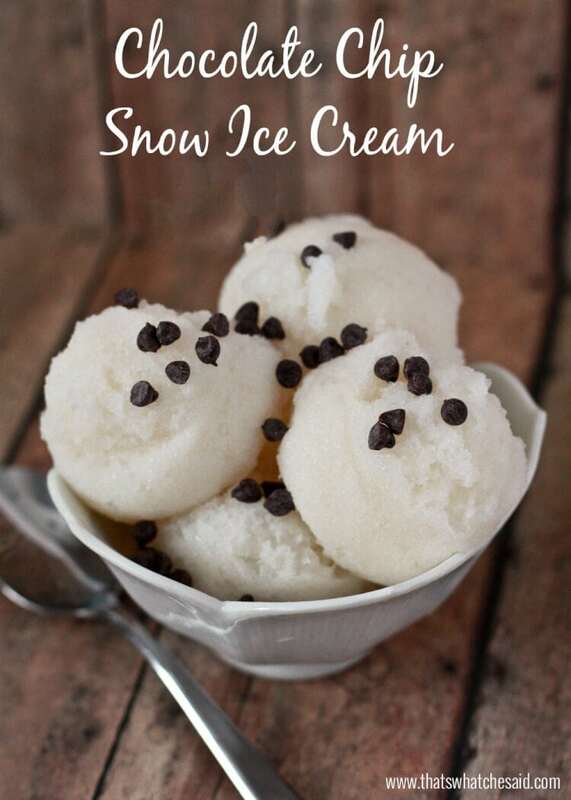 In order not to cry because I really, really, really want it to be spring, we decided to embrace the snow with snow angels, snow balls and chocolate chip snow ice cream recipe! Next I combine the sugar, milk and vanilla extract in a separate bowl and I mix that until the sugar is dissolved. Combine the milk mixture with the white fresh snow and mix. 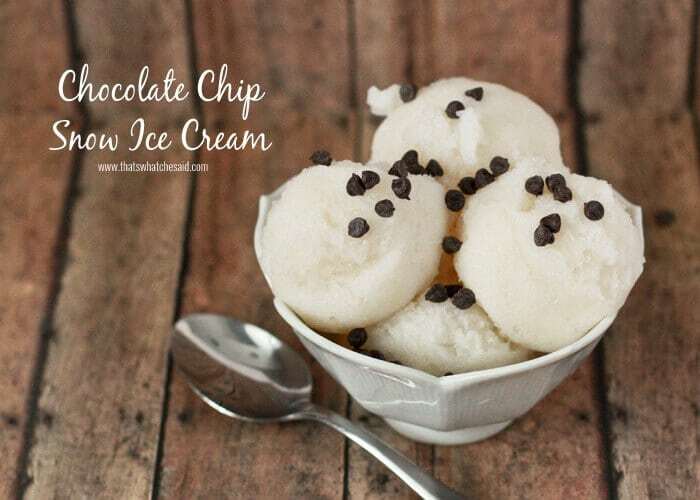 Here’s where you can get fancy…add mini-chocolate chips! Want to get even more fancy? 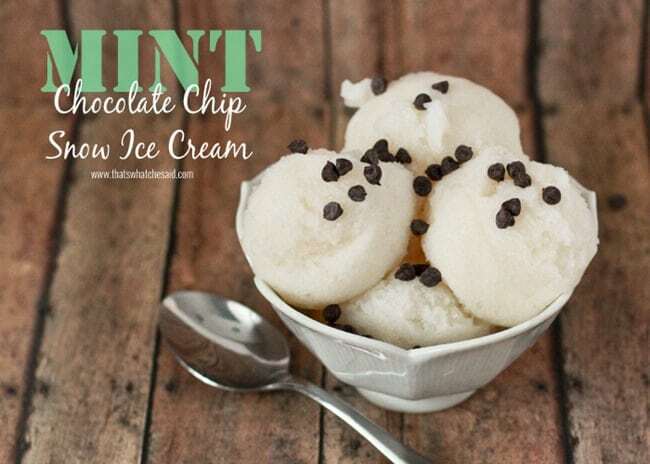 Add 1-2 drops of Peppermint Essential Oils and enjoy MINT CHOCOLATE CHIP SNOW ICE CREAM! Oh. My. Gosh. So delicious! We may or may not have had to make a second batch because someone *ahem, not me* might have eaten more than her fair share and the kids were not pleased, lol! So good! 8 cups fresh white snow ;-) yes WHITE SNOW! In a small bowl combine milk, sugar and vanilla extract. Mix until sugar is dissolved. Add milk mixture to snow and mix. 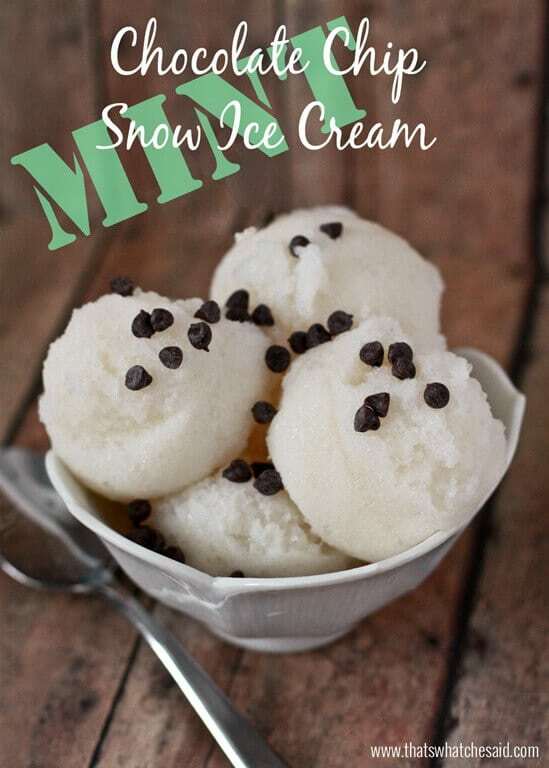 Another delicious snowy treat are these snow cones! 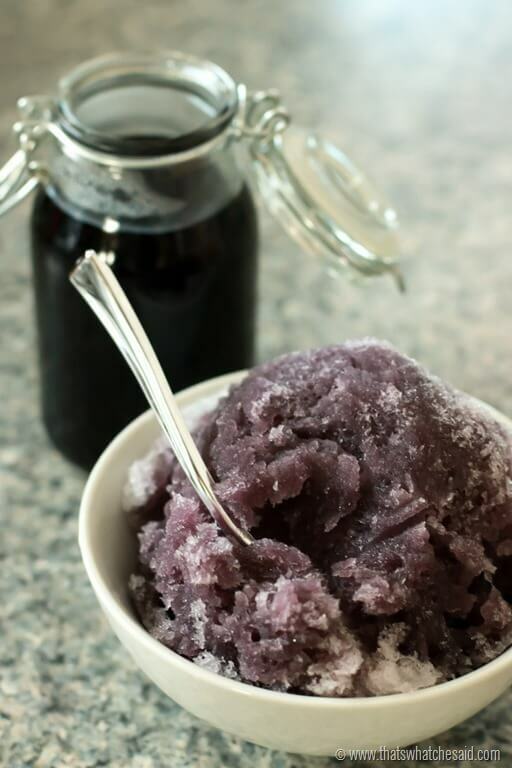 The perfect recipe on how to make your own snow cone syrup! 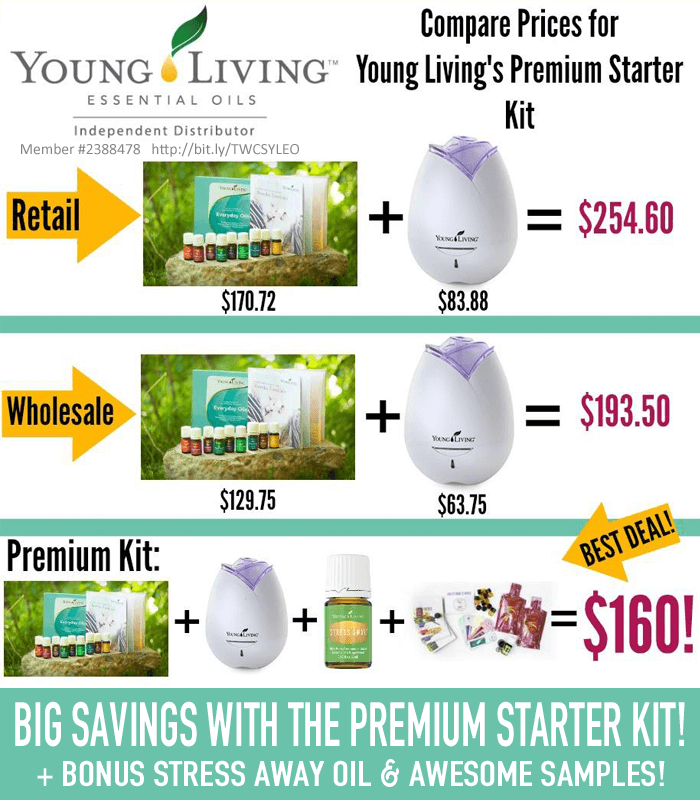 Do you want to learn more about essential oils or do you want to finally make the jump to a healthier life? 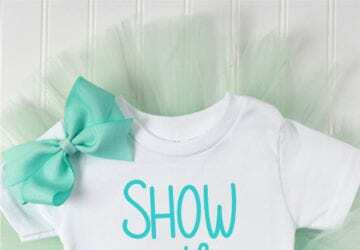 Well then I have great news for you because there are some excellent promotions right now that will help you to get going with confidence! Essential oils can be used for so many wonderful things! 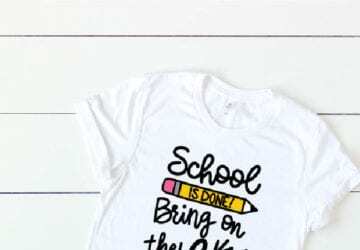 See a few of the ways I have posted about below! I hate to leave this buzz kill comment, but…. 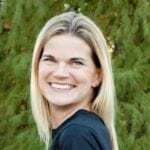 I am originally from Kentucky and when my family moved to Buffalo NY I was thrilled when it snowed. Lots of snow cream I thought, and I actually made some until the Buffalonians stopped me, with all of the acid rain and pollution it probably isn’t the best thing to give small children. So I have put a halt to that great childhood tradition of mine. Times have certainly changed. I do agree with you that pollution is a concern! I just keep in mind that we have snow only a day or two maybe each year. This is certainly not an everyday food item for us. We also swim in lakes and rivers here which is rain water and I am sure they drink a bit of that as well! I wouldn’t recommend eating this everyday of course! Everything in moderation!